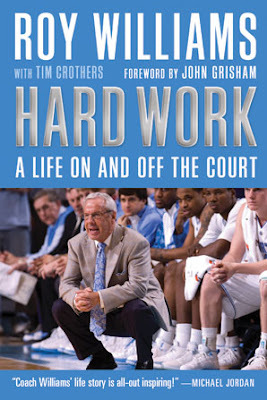 Roy Williams new book, Hard Work: A life On and Off the Court, has a very realistic chance to make the New York Times Best Seller List. This short excerpt is one of the reasons why: "They say that Michigan State winning is going to fix the nation's economy, well then, I say, hell, let's all stay poor a while longer. All that stuff is B.S. This is a basketball game. That's all it is. We are better than they are. Now let's go play. Tonight somebody is going to win the national championship. Why not let it be us?" I've already put it on my Christmas list!